Greta Carey (1910-2004) was born Margrit Koeppel in Widnau, Switzerland. Greta dreamed of America where she would find the answers to her philosophical questions and left home on her 19th birthday to come to New York. Living in Manhattan, Greta took classes at the Art Students League. With her husband, Rollin Carey, and daughter, Willo, she moved to New Jersey, where she studied at the Ridgewood Art Institute with Arthur F. Maynard, who had been a student of Frank Vincent DuMond, a master of the effects of light on a landscape. In 1967, the Careys moved to Williamsburg, Massachusetts, and Greta taught painting and rug hooking at the Hill Institute in Florence for 27 years. She was an inspirational teacher and mentored several emerging local artists. Other projects included four large murals of Williamsburg commissioned by The Williams House (now The Brewmaster’s Tavern), for which she received the Grumbacher Award. 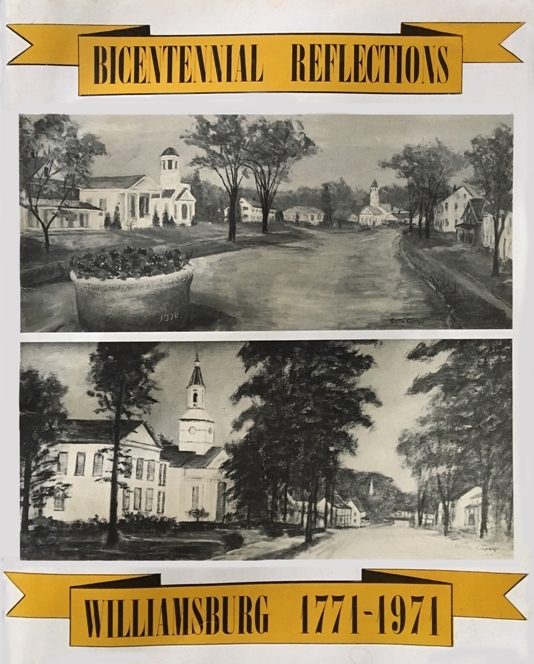 She also served as president of the Williamsburg Brush & Palette Club, was an active member of the Deerfield Valley Art Association, and participated in various regional exhibitions. She designed the Williamsburg Bicentennial Quilt and completed its finishing, her gift to her American hometown. 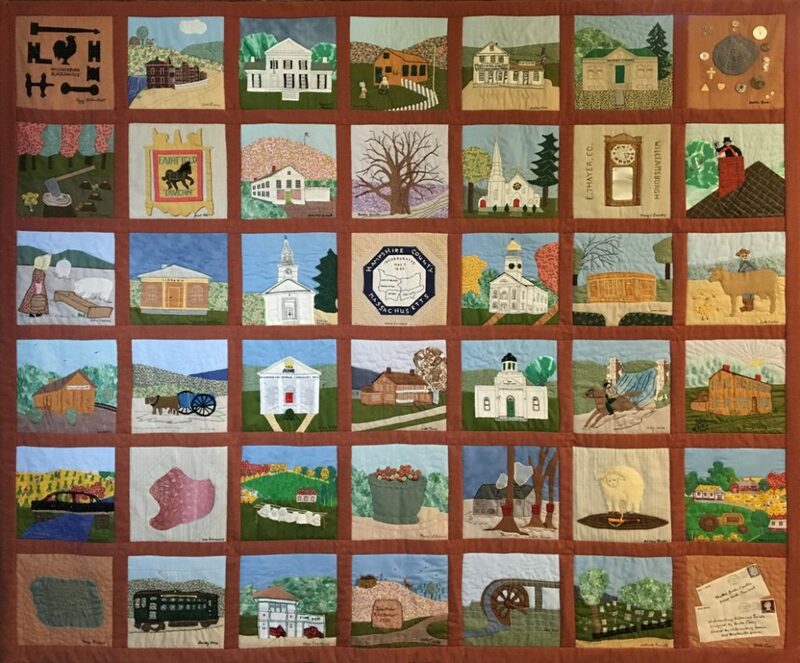 On loan from the Williamsburg Historical Society, the quilt hangs in the Meekins Library along with several of her paintings. Nearly forty years ago, I happened to accompany a friend on a visit to Greta’s home to pick up a commissioned painting. I admired one painting in particular and asked for the price. “That one is not for sale, but if you come to my art class, you can learn to paint one for yourself,” she replied. I did enroll in her oil painting class at the Hill Institute in 1980 and continued painting with her through the end of that decade, when my husband joined me and began painting as well. Greta’s teaching style allowed her students to develop their own personal styles and she delivered the necessary critiques in a direct yet gentle and encouraging manner. She introduced her students to The Williamsburg Brush and Palette Club and the Deerfield Valley Art Association, where we had an opportunity to sell our best works at their annual shows. Decades later, my husband and I are still painting and loving it!